Mumbai : India’s passion for cinema has inspired Google to create a range of immersive Search experiences especially for Indian cinema. If you ever wanted to try to wrap your head around the labyrinth of the Kapoor family? Or know more about the Bachchan’s? Now when you ask Google questions about films, actors, song lyrics, film trivia, trailers, screening times and more, you’ll get rich, contextual answers. These Search experiences were highlighted at an event in Mumbai today featuring Director Karan Johar and Google India’s Marketing Head Sapna Chadha and Search Product Manager Satyajeet Salgar. With around 1 in 10 mobile searches in India related to Indian cinema, Google Search now gives local cinema enthusiasts an easy way to discover and explore everything they want to know about their favourite movies, stars, music, dialogues actors and more. “Google has a long history of building products for India, and we wanted to make sure that when these millions of Indian cinema fans pick up their phone and ask Google about their favourite films, actors or songs, they get a delightful, local experience” explained Google Marketing Head, Sapna Chadha. Google also released a video tribute to Indian cinema that showcases these Search experiences. Highlighting the way Search has evolved, Satyajeet Salgar, Product Manager, Search showcased answers and carousels powered by the Knowledge Graph, movie showtime and featured snippets. So depending on the question, be it “What movies are Anil Kapoor and Ranveer Singh in together? Or What are the showtime for Te3n? Or Show me Sunidhi Chauhan’s latest songs, Google Search now shows rich, contextual answers. 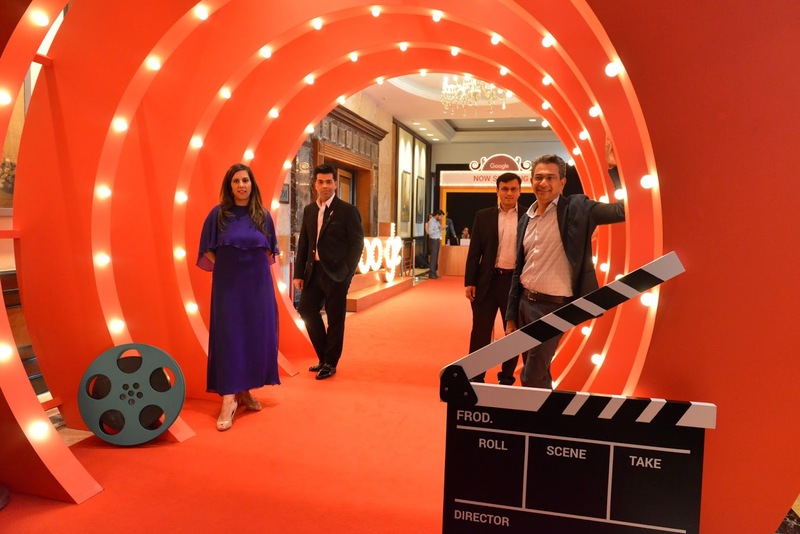 “We hope that cinema fans enjoy exploring the wonderful world of Indian cinema with Google and we look forward to continuing to add even richer, immersive features to Search over time. Abhi toh Picture shuru hui hai!,” added Salgar. Larry Page and Sergey Brin founded Google in September 1998. Since then, the company has grown to more than 50,000 employees worldwide, with a wide range of popular products and platforms like Search, Maps, Ads, Gmail, Android, Chrome, and YouTube.